Welcome to Read My Book, a new regular feature at Sweatpants & Coffee where we introduce you to an independent author and their work, and let them try to convince you to read their book. 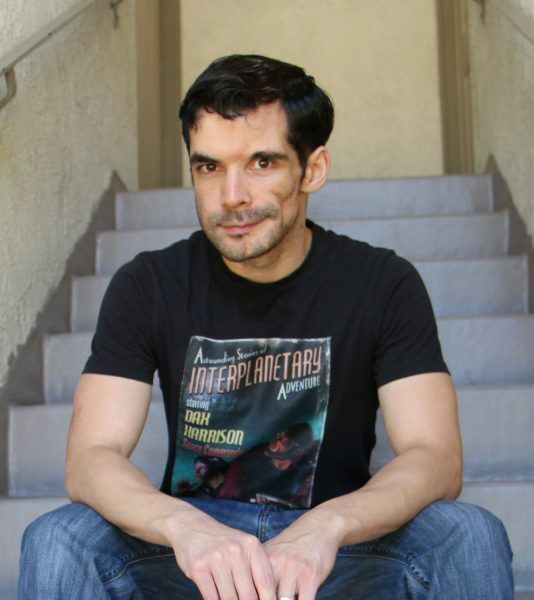 Indie author Tony Valdez wrote a book called Dax Harrison, and he thinks you should read it. What’s it about? Glad you asked. Dax was so close to leaving the hero business behind him. He’d done his duty, saved the galaxy a time or two, and made out like a bandit with the movie and merchandise rights. Now, Alliance HQ is forcing him to be the poster boy for their “ten years of peace” hoopla. If that’s not enough, a disgraced alien general-turned-war-criminal with an unpronounceable name has escaped from an inescapable prison planet, and he’s got Dax in his crosshairs! Sounds good! But is it right for you? We asked Tony some questions so that he could tell you why you should read his book. You’re on an elevator with a reader and you have to convince them to read your book before they reach their floor. What would you say? 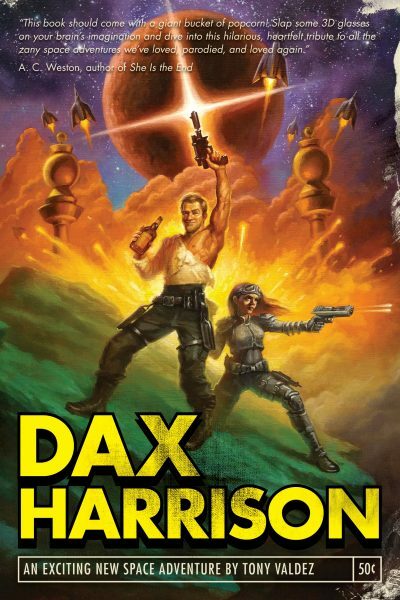 Dax Harrison is a rollicking action-comedy science fiction adventure in space. It’s my love letter to everything from cheesy pulp stories of sci-fi long past to the insanely-budgeted blockbuster films of today. It’s my Guardians of the Galaxy. Lots of laughs, lots of explosions, lots of heart. Which of your characters do you think readers will most identify with and why? Hopefully Dax, as he’s the unconventional hero of the piece. I’m an optimist, and I believe most of us, like Dax, want to do the right thing deep down. But our insecurities, doubts, or plain stubbornness can get in the way. How would you like the reader to feel after finishing your book? Like they just walked out of a big summer movie. Thrilled, full of popcorn, and maybe needing to run to the bathroom because they didn’t want to stop in the middle of the exciting parts! If your book were made into a movie, who would be on the soundtrack? I love big old-fashioned movie scores. John Williams, Alan Silvestri or Michael Giacchino. If you had to choose a published author to write the sequel, whose writing style do you think would best match your work? Derek Adams, who is a fellow indie author and a friend. I love his comedy. What cup of coffee would be the best accompaniment to your book? A triple vanilla latte. Unapologetically full of sugar, but with that extra strong caffeine punch! You can buy Dax Harrison on Amazon, Barnes and Noble, Inkshares, Google Play, iBooks and Kobo.